We're talking about parents who have Facebook, but DON'T post embarrassing baby pictures all over their kid's wall. The other day I did something completely radical. I left my cell phone at home. Get Pregnant with the Android & iPhone! We’re not accustomed to discussing cycles; ovaries, periods or really, any body parts whatsoever on the Tech Sense channel. But, this app is definitely worth the trouble. 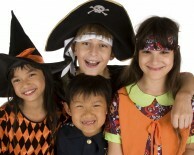 As we quickly approach the trick-or-treat season many of us are beginning to plan our Halloween costumes, and if this holiday is one of your favorites you likely take this task very seriously.